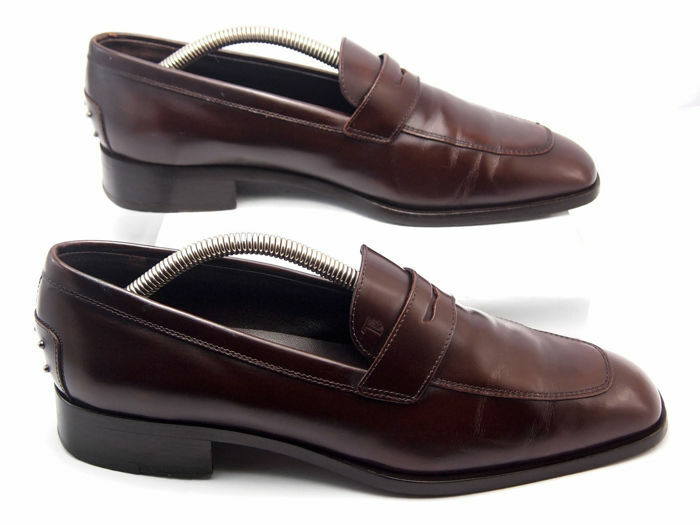 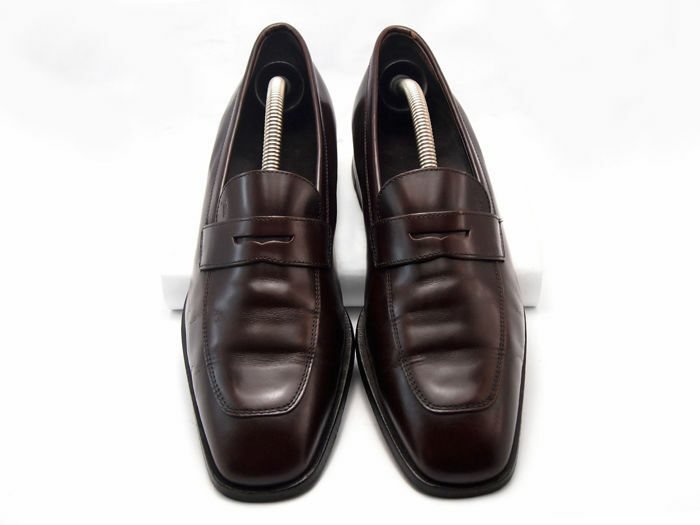 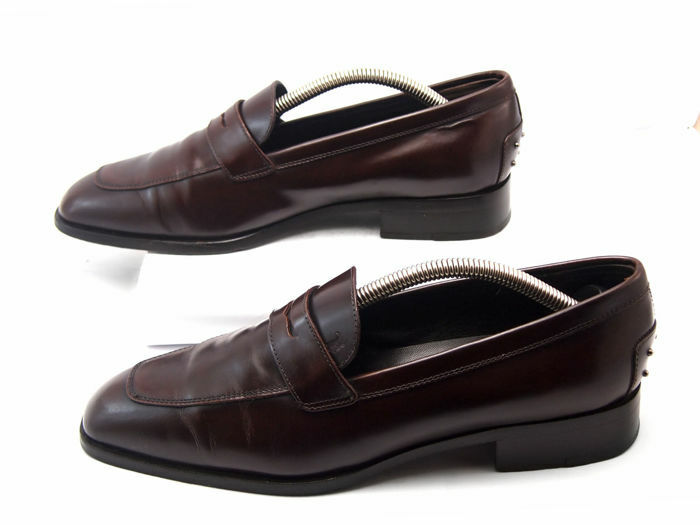 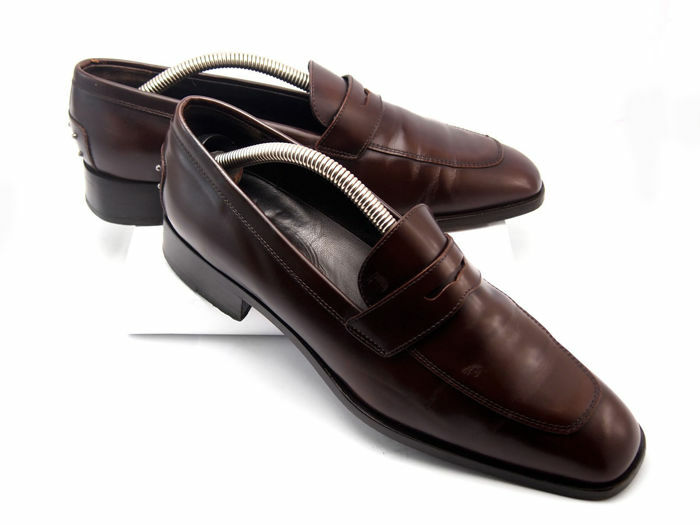 Elegant Tod's penny loafers in brushed calf brown leather with elegant silhouette. 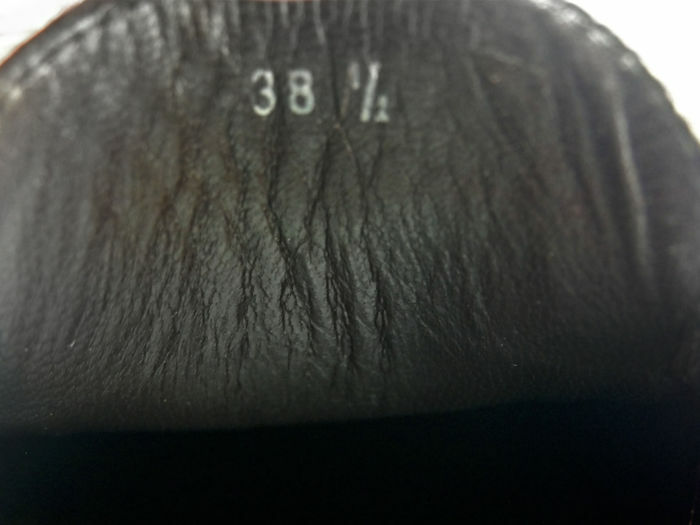 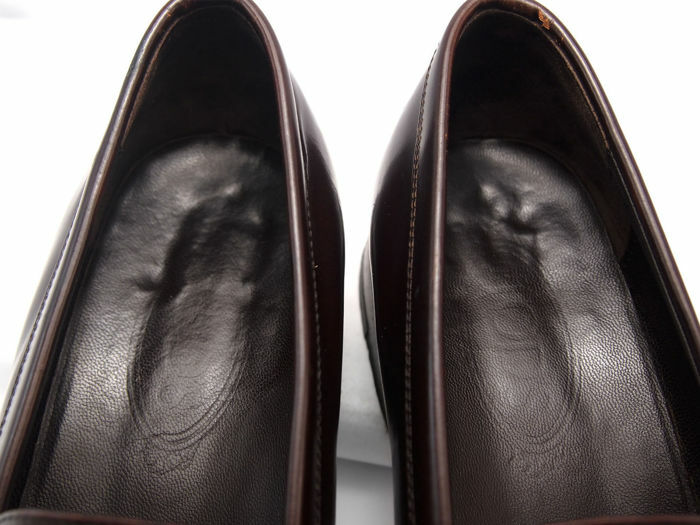 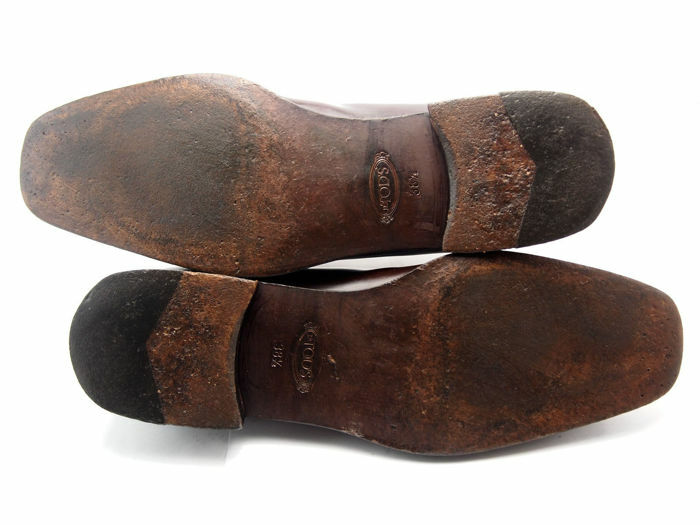 Leather uppers, with dark leather insoles and outsoles. 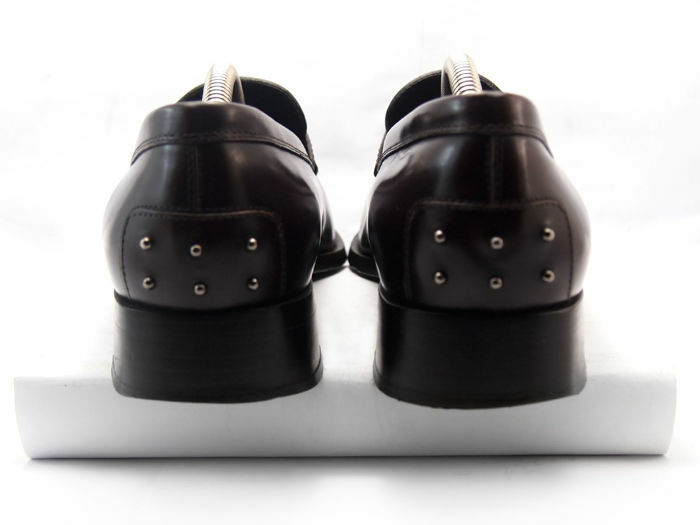 Signature metallic pebbles on the back.